Citigroup investors are giving no credit to much of the bank’s business. Its global retail bank looks to be worth over $80 billion, more than the company’s entire market capitalization. Despite the publication on Monday of another set of anemic quarterly earnings, something doesn’t add up. The consumer business is Citi’s biggest unit by both revenue and profit. Its return on assets hit a juicy 2.2 percent for the first six months of this year. Chunky Asian and Latin American operations mean there’s growth potential. And ideas already implemented in Asia, such as having just a few mega-branches while otherwise relying on smart ATMs, could bear fruit in other markets. Assume the global retail bank’s 2012 earnings come in at double the showing in the first half and apply a conservative 10 times multiple and the division is worth $83 billion, against Citi’s current market value of $79 billion. Citi’s other businesses include investment banking and the solid transaction services division, which provides companies with cash management, trade-related and other services and claims 96 percent of Fortune 500 companies as customers. Putting the latter on the same 12 times 2012 expected earnings as State Street, a peer in some respects, values it at $44 billion. That’s enough to offset the $40 billion drag on valuation that can reasonably be ascribed to Citi Holdings, the vehicle for the bank’s remaining unwanted dross, which is on track to lose $4 billion this year. By that math the investment bank is worth about minus $8 billion. Some wariness is called for with trading and issuance volumes low, new rules yet to be written and the legal fallout from mortgages and the Libor mess still unclear. But attributing a negative value to a unit that has managed a 28 percent pre-tax margin so far this year is unduly harsh. 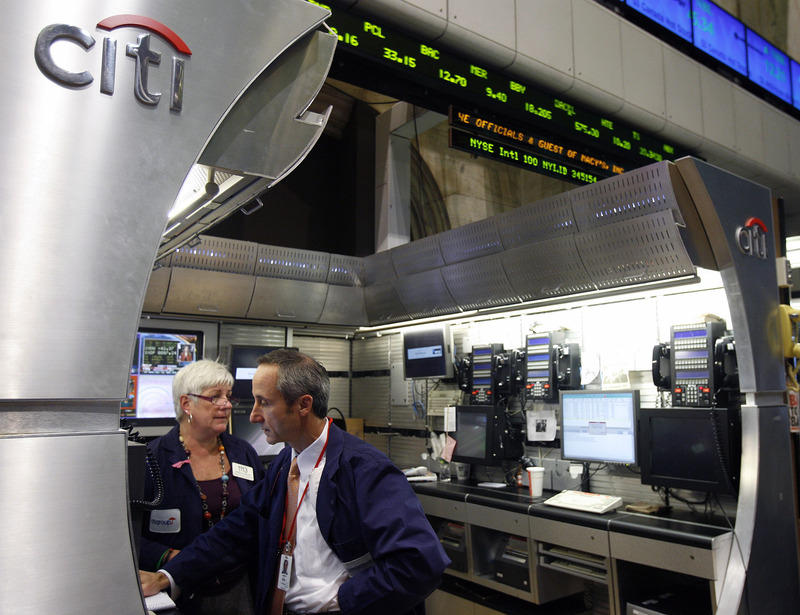 A credible value for Citi’s Wall Street business – at a lower rating than Goldman Sachs’ – might approach $40 billion. But to get there would require a 60 percent leap in the bank’s stock price. The math might just support such a surge, and Citi would still trade well below its book value. But given the state of banking at large, few investors are going to bet on it happening any time soon. Citigroup on July 16 reported second-quarter net income of $2.9 billion. Excluding a $219 million pre-tax gain from the widening of the bank’s credit spreads and a $424 million pre-tax loss from selling a 10.1 percent stake in Akbank, Citi earned $3.1 billion, or $1 a share, beating the consensus estimate of sell-side analysts of 89 cents. Revenue was $18.8 billion in the quarter, excluding the gain on widening credit spreads. Annualized return on equity was 6.8 percent.